Painting a forest background on a card. Hello, all! I have another card made with a new #STAMPtember collaboration stamp set for you today. 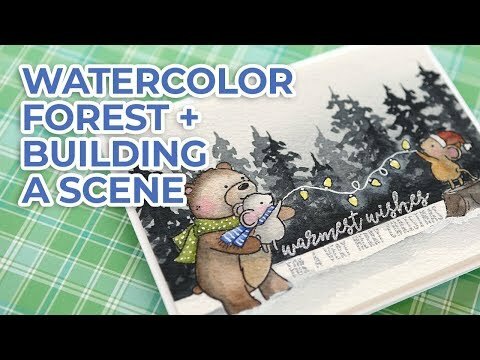 For today’s card, I used Neat & Tangled’s Holiday Helpers stamp set to create a scene with a watercolored forest background.